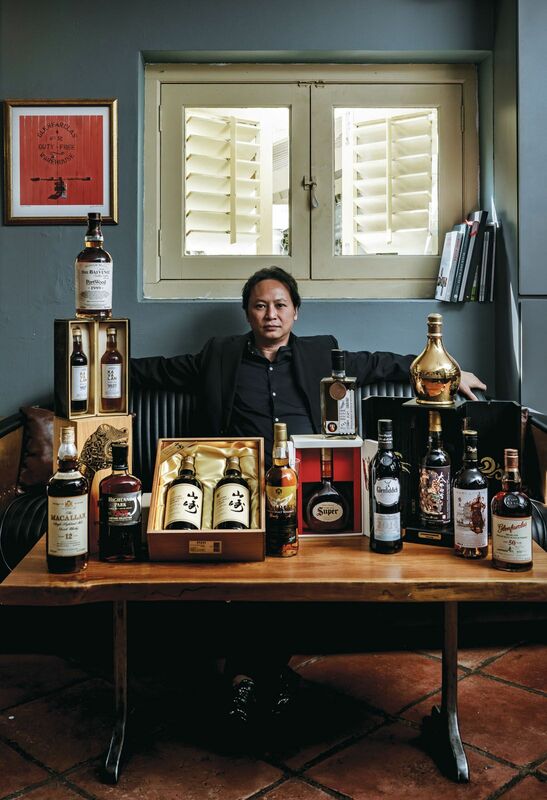 For banker Keith Chong, “drinking, talking about it, exchanging ideas, it brings a lot of joy”. He's talking about the magic potion that is whisky, or as he calls it, his “joy juice”. The noted whisky collector has amassed over 700 bottles, assembled over 20 years when he started buying a bottle or two, aided by his friends. It is a passion carried down from his late father, whom he used to drink with. Enjoying a glass of whisky brings back memories of his dad. "I missed the times when we sat and drank,” he reminisced. Keith keeps some of his bottles in a storage facility–the rest he keeps at home to appreciate at his own leisure or in the company of friends. “Apart from being a collector, I drink as well," he said, adding that the key reason he collects whisky is to "ensure that I actually have the bottle that I like”. It's a very social obsession. Keith admits that he has a bad habit of not keeping an inventory of his bottles. “My friends come over, and if I see that I don’t have enough open bottles, I'll just open another bottle,” he quipped. Keith's extensive collection holds some rare gems. Yes, there are bottles of monetary value. The Karuizawa Samurai series, for example, is valued at S$10,000 each – and he has 10 of them in storage. But there are also items that are valuable for different reasons. A rare independent bottling of Chieftain's Glentauchers from 2005 features the Monkey God on its label. "It remind me of my dad's old house in Tiong Bahru as there is a famous Monkey God Temple along Eng Hoon Street," he said. "We were at Blk 73 Eng Watt Street." To supplement his whisky collection is another collection: Whisky glasses. Still, beyond the collecting and the tasting and the nosing, what it comes down to for Keith is people. Catch full episodes of 'Remarkable Living' on Channel NewsAsia, Sundays at 7pm.